Expert riders follow the motion of their horse’s body in order to optimize their interactions with the animal at different gaits. Postural benefits arise from horse riding, the findings of a recent French study suggest. Horseback riding requires the ability to adapt to changes in balance in order to maintain equilibrium and prevent falls. The postural adaptation to achieve this involves specific sensorimotor processes that integrate visual information and a range of other perceptions such as touch, pressure, position, movement and vibration. 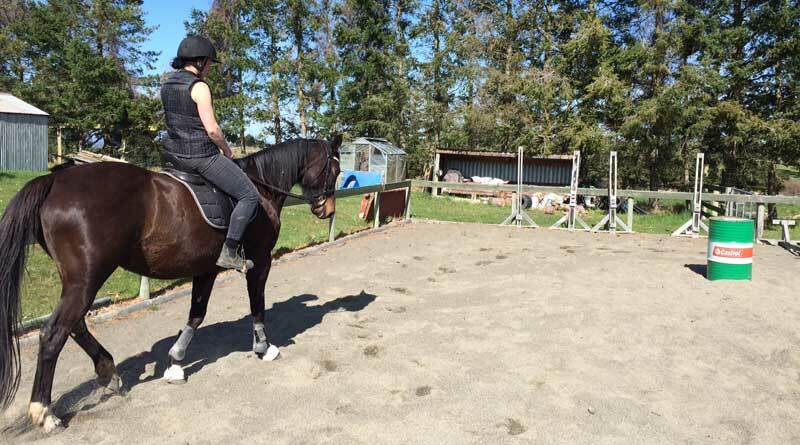 Agnès Olivier and her colleagues note that very little research has been devoted to the use of sensory information in horse riding and none has been specifically devoted to the contribution of sensory information to upright postural stability. The study team set out to examine this multisensorial integration on postural control, comparing the performance of a group of 10 elite professional female dressage riders with that of 12 women who did not ride. Postural control was evaluated using a monitored force platform on which the women stood, with both stable and unstable supports. They were tested with their eyes open and the eyes closed, and with and without the presence of foam on the platform. The riders were found to have better postural stability in the mediolateral axis when the support was unstable. On the anteroposterior axis, the riders were less visually dependent and more stable in the presence of foam. The results suggest that horseback riding could help develop particular proprioceptive abilities when standing, as well as better postural muscle tone when standing balance was challenged, the study team reported in the open-access journal PLOS ONE. The researchers point out that expert riders follow the motion of their horse’s body in order to optimize their interactions with the animal at different gaits. This synchronization with the horse implies having the ability to adapt balance and orientation to coordinate the rider’s pelvis, trunk, head and limbs. The full study team comprised Agnès Olivier, Jean-Philippe Viseu, Nicolas Vignais and Nicolas Vuillerme, from a range of French institutions.